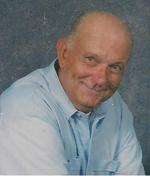 David Leroy Leiter age 73 of Ashland, passed away Sunday February 24, 2013 at Hospice House of Ashland. Born in Ashland on September 2, 1939 the son of Chesther Leiter and Laura (Harry) Bowersock. David was an Ashland resident all of his life and retired from F.E. Myers after 38 years of employment. He was a member of the Army National Guard. He was married Norma Jean Pickering who preceded him in death in December 2005. Surviving are four sons and daughters in law, David (Kitty) Lieter, Larry (Donna) Lieter, Ronald (Deborah) Leiter and Douglas (Connie) Leiter all of Ashland. Also surviving are six step-grandchildren; two sisters and one brother in law, Marsha Leiter- Bertschi and Naomi (Gary) Leiter-Weber. David loved fishing and Gospel music. Funeral services will be held on Thursday February 28,2013 at 11:00 am at the Heyl Funeral Home with Pastor Al Page officiating. Burial will follow at the Ashland County Memorial Park. Friends may visit with the family on Thursday from 10-11:00 am.